We conducted memorial at the chapel already (the Sunday following his passing) and we will have another memorial on March 5 - nearest Sunday to the 40th day after HH passed away. These pictures are of the funeral of the Catholicos (head) of the Malankara (Indian) Syriac Orthodox Church, who is now of blessed memory. These pictures were taken from the day he passed on January 26th through his funeral on January 28th. 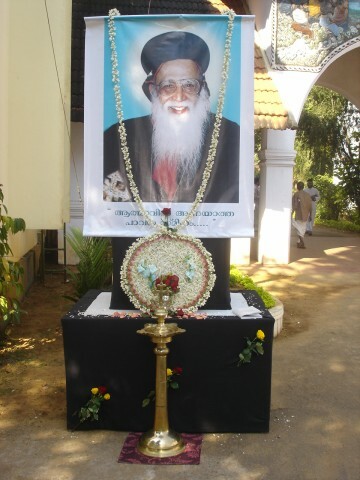 Over the course of these 3 days all eight of the liturgical services of the funeral for clergy was celebrated in four churches (Devalokam Aramana, Orthodox Theological Seminary, Mar Elia Cathedral, Mar Elia Chapel). His Holiness Moran Mar Baslios Marthoma Mathews II led the Church from 1991 until his retirement just 3 months ago. Also, please email these pictures to whoever you feel would be interested in seeing them.